APPARENTLY the talent isn’t the problem. 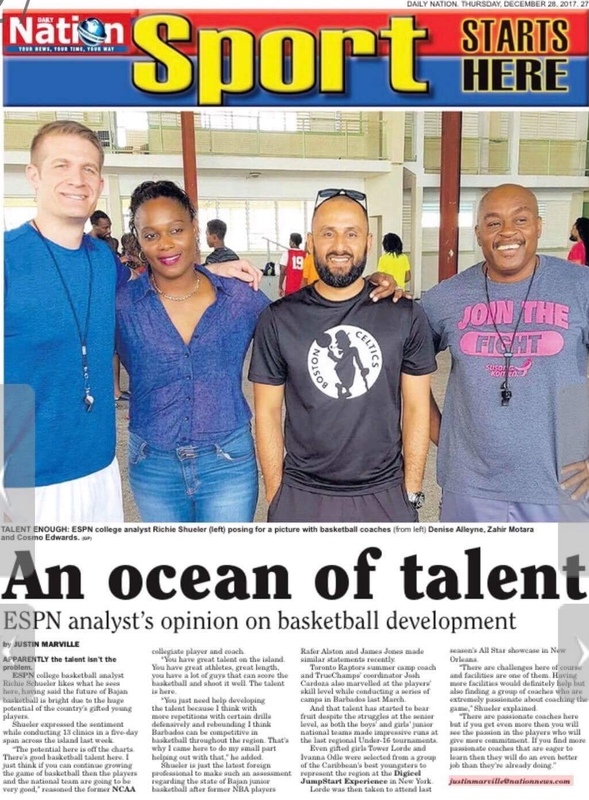 ESPN college basketball analyst Richie Schueler likes what he sees here, having said the future of Bajan basketball is bright due to the huge potential of the country’s gifted young players. Shueler expressed the sentiment while conducting 13 clinics in a five-day span across the island last week.